Meatballs are GREAT to make and freeze for later! You can double this recipe and use some for dinner and freeze the rest for in a couple of weeks. Categories: Cooking, Food, Recipe | Tags: beef meatballs, comfort food, how to make meatballs, italian meatballs, transition comfort food | Permalink. Is pasta one of your comfort foods? It is for me; the zing of red pepper mixed with garlic and lemon on the pasta helps bring me comfort during a hard time. This week I just was tired, but making this dish that has amazing flavor cheered me up for days! I created this recipe this week using the pasta and white wine we had leftover from having family dinner at our place. Prepare the pasta if you do not have leftover pasta. Melt 2 Tblsp. butter in a large skillet over medium heat, and add the garlic, onion, and red pepper flakes, and cook together for 3 minutes. Add the shrimp and cook for 3-5 minutes until they are pink and cooked through. Place this mixture in a medium bowl and keep warm while you make the sauce. In that same pan, place the other 2 Tblsp. of the butter and the oil and melt. Add the zucchini and saute for 2 minutes. Then add the wine, lemon juice, parsley flakes, salt and pepper, and cook for 3-5 more minutes. Then add the shrimp mixture and the pasta and cook for 5-10 minutes until hot and thoroughly mixed. Serve immediately and enjoy with your favorite wine or sparkling juice! Makes 4 large servings. Categories: Cooking, Food, Recipe | Tags: comfort food, food blog, shrimp scampi, Transitions | Permalink. I cooked up this chili to celebrate that I can eat tomatoes again!! After realizing last winter that my breast milk made my son spit up and have burps when I ate tomatoes, I stopped eating tomatoes for 11 months. (I sure missed chili, pizza, and spaghetti). Now that Joel is one, he seems to handle tomato-y milk better. He even had a couple of bites of the chili, but isn’t a fan yet. Categories: Babies, Cooking, Food, Recipe | Tags: crockpot beef chili, motherhood, recipe, spicy chili, Transitions | Permalink. What’s better than crisp rice treats?!? Rice crispy trees!!! We had a woodland themed birthday party for our one year old, and I had to make some tree treats. Categories: Birthday, Cooking, Recipe, Transitions | Tags: celebrating transitions, Christmas treats, rice crispy treats, rice crispy trees, tree dessert | Permalink. Categories: Cooking, Food, Recipe, Uncategorized | Tags: comfort food, motherhood, Parenting, Transitions, White pizza | Permalink. 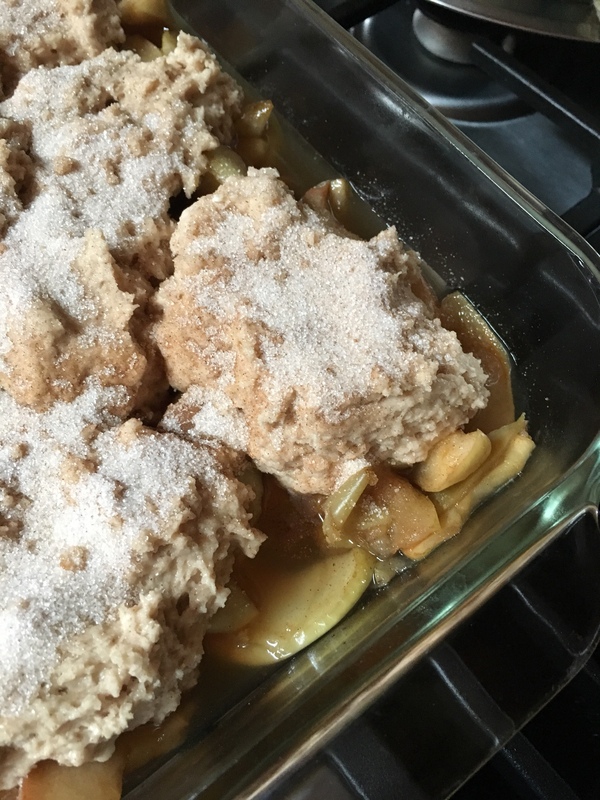 Categories: Cooking, Food, Recipe | Tags: apple cobbler, food, food blog, quick apple dessert, ways to use apples | Permalink. The white chocolate chips melt into the muffin, making a yummy moist muffin full of flavor. 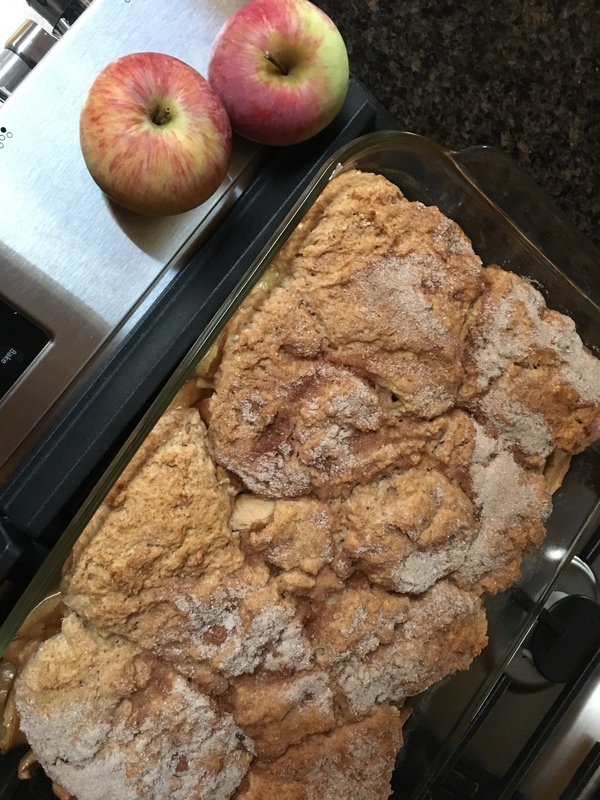 Categories: baking, Cooking, Food, Recipe | Tags: apple recipe, applesauce muffins, fall muffin, food, food writing, muffins | Permalink.